Malaysia’s Rafiq Ismail, a finalist for the PBA Rookie of the Year award in 2018, won the gold medal in singles Saturday at the 2018 World Bowling Men’s Championships. The left-hander entered the singles medal round as the No. 3 seed and defeated No. 4 seed Dan MacLelland of Canada, 217-204 to take the title at the South China Athletic Association Bowling Centre in Hong Kong. In a tense semifinal match, Ismail took down No. 2 seed Kyle Troup of the United States, 171-170, and threw a clutch strike to open the final frame to help him advance. In the first semifinal, MacLelland eliminated top seed Andrew Anderson of the United States, 256-170. 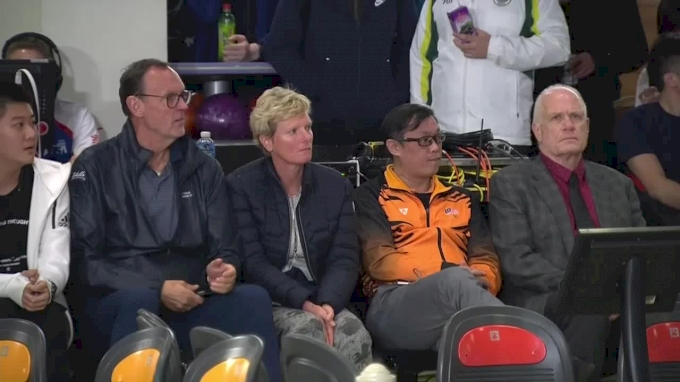 The next medal round at the World Championships will be doubles, which will take place Sunday at 5:30 a.m. Eastern live on FloBowling for audiences in North America. Team USA’s EJ Tackett and Anderson will take on Korea’s Park Jongwoo and Kim Kyungmin in the first semifinal. Canada’s Francois Lavoie and MacLelland will battle Malaysia’s Adrian Ang and Tun Hakim in the other semifinal. The winners will meet for the title. To see FloBowling’s broadcast schedule from the World Championships, click here.